Many people mistakenly think that flavor enhancers such as MSG (monosodium glutamate) are only in Chinese foods, and as long as they avoid Chinese foods, they are safe. 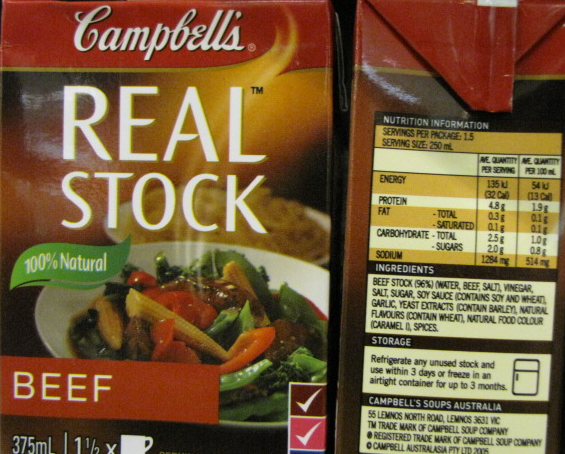 Below you will see MSG in foods like Campbell’s soup, gravies and sauces. Taking a few minutes to scan food labels and make better choices in what you buy is the best investment you can make in your long-term health and longevity! Some typical reactions that can occur from either MSG or the additives list below include: migraine headaches, insomnia, itchy rashes, asthma attacks, behavioral disorders, depression, heart irregularities, anxiety, arthritis, sinus problems and many digestive problems including diarrhea. MSG, Ribonucleotides, Disodium Inosinate, and Disodium Guanylate are all flavor enhancers which add a salty, savory taste to foods. They can be listed either by name or by additive number (sometimes called ‘E numbers’) as you will see below. Legally, these chemicals can also be ‘hidden’ in terms such as ‘spices,’ ‘yeast extract,’ ‘hydrolyzed vegetable protein,’ and ‘flavoring’ so I suggest avoiding products with any of these dodgy terms on the label. MSG (E621) is known to cause migraine headaches and can also cause diarrhea. Ribonucleotide (E627, E635 or E631) is another salty food additive which can cause a itchy irritable rash, known as the ‘Ribo Rash.’ In my personal experience, I have seen Ribonucleotide (or Disodium Inosinate and Disodium Guanylate) cause a sudden rapid heart rate (up to 160 beats per minute) and also trigger anxiety attacks. Let’s start looking at some labels. Mmmm, mmmm, not so good! Here we have a can of good ol’ fashioned Campbell’s Low Salt Chicken Soup. By all account it would appear to be healthy, in fact notice right on the label how it says ‘No MSG’ and ‘No Artificial Flavors.’ Well, I don’t know how they got away with that one, because if you look right on the ingredients list, you will see Disodium Inosinate and Disodium Guanylate, both nasty chemical flavor enhancers. 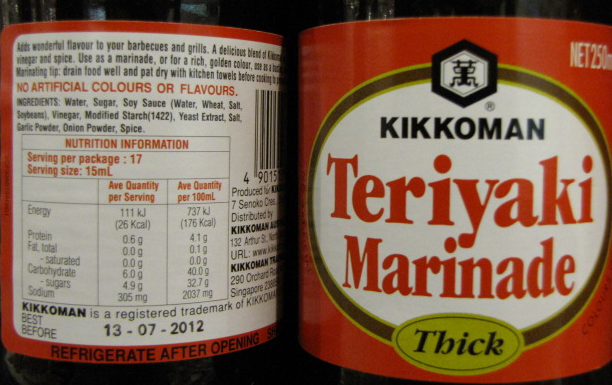 You will also see Yeast Extract and Soy Protein Concentrate – legally MSG can be hidden in these ingredients and they do not have to report MSG as an additive. Anytime you see a ‘yeast extract’ or ‘protein extract or concentrate,’ beware. In fact, put it back on the shelf. You see, this is where manufacturers are the masters of marketing. Everyone knows MSG is bad for you, and the companies know that, so they label their products as having ‘No MSG’ knowing that you will think it is a healthier choice, but of course they still have to add flavor to their artificial unnatural devitalized foods, so they add it in the form of other chemical additives which you have never heard of. Until now!! And really, just look at this so-called ‘mechanically separated chicken’ – I mean, what is that?? That alone should have you running towards the hills! Ok, here we have a Contintental Instant Cup of Beef Noodle Soup. They have done a good job of highlighting all the uses of wheat here, but they have not distracted me from seeing the truth. 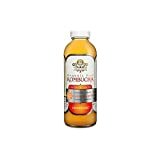 The nasty hidden chemicals here will be in the yeast extract, herb extract, spice extract and flavor enhancer 635. All spice, yeast, protein or even herb extracts can have MSG in them. Always watch for that term ‘extract,’ especially in salty foods. And 635, well that is the mother of the Ribo Rash -in my opinion, it is the worst food additive of all time. They are even nice enough to tell you that this product contains soy, wheat and milk, but they neglect to tell you about the cheap nasty chemicals in there too! Be aware that the following additives contain MSG or free glutamate: hydrolysed vegetable protein, hydrolysed protein, hydrolsyed plant protein, yeast extract, sodium caseinate, calcium caseinate, hydrolysed oat flour. The following ingredients often contain MSG, even though it may not be declared on the label: malt extract, malt flavoring, stock, broth, natural beef or chicken flavoring, seasoning, spices. 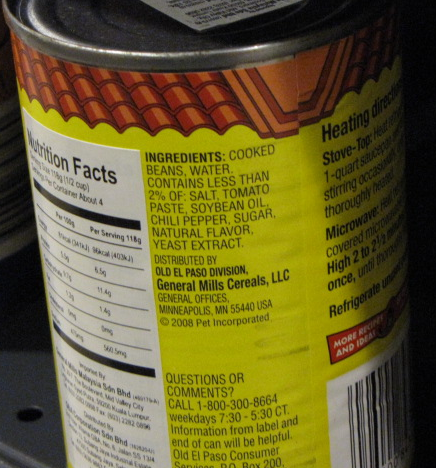 In this example, we are looking at a can of Old El’ Paso Refried Beans. If you didn’t know the truth in food labelling, this one would completely pass you by. But by now I hope you noticed the ‘yeast extract’ right away and also the ‘natural flavor.’ Again, both are legal terms used to hide MSG and the other flavor enhancers as well. No - not the mac and cheese too! So much for the Chinese food guys….we are not anywhere near Asian foods and look at all the hidden nasties! 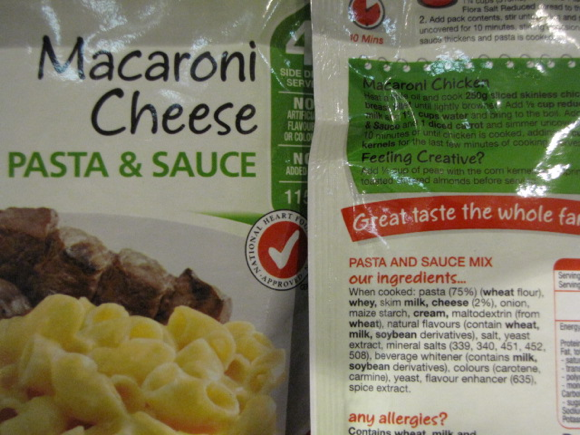 Yes, it’s true, even the mac and cheese is chemically altered. 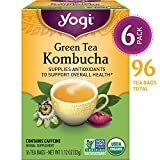 See for yourself – ‘natural flavors, yeast extract, spice extract and flavor enhancer 635.’ And somehow it is ‘National Heart Foundation Approved.’ Hmmm. I wonder how many people have experienced an increased heart rate due to that 635. 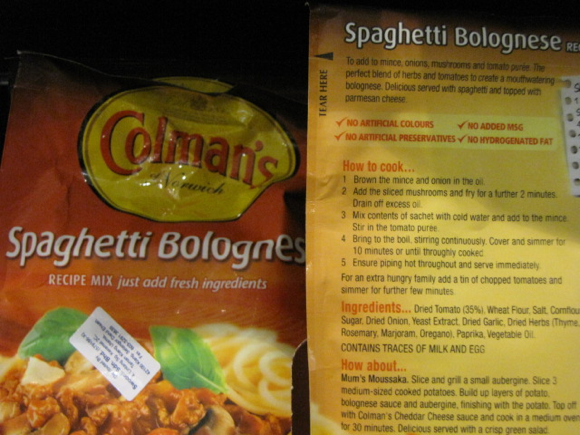 Are you starting to recognize the difference between good marketing and truth in labeling? 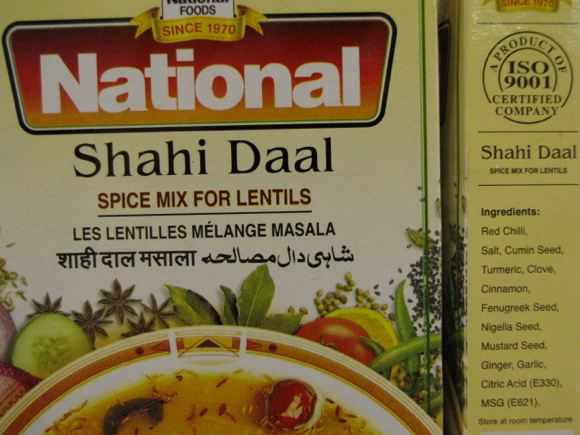 A bit of MSG with your Daal? Man, they were doing so good up until the very last ingredient – MSG (E621), otherwise known as Monosodium Glutamate. In your innocent lentil daal!! MSG is a major excitotoxin and is known to damage the part of the brain that governs many other systems in the body. This damage may appear as symptoms of the autonomic nervous system and endocrine system. Thus it can manifest in disrupted sleep patterns, food cravings, and persistent hunger, which often leads to obesity. 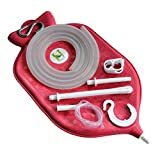 MSG also induces migraine headaches, asthma attacks, behavioral disorders, depression, heart irregularities, restless leg syndrome, arthritis, sinus problems and many digestive problems including diarrhea. UPDATE: A recent study from John Hopkins researchers published in the journal Neurology (26 April, 2013) found that a neurotransmitter involved in arousal known as glutamate is abnormally high in people suffering from Restless Leg Syndrome (RLS). They saw that the more glutamate found in the brains of people with RLS, the worse they slept. Why do you think people have high concentrations of glutamate in their brain? From Monosodium Glutamate!!! This is an epidemic, and in my opinion, a form of genocide, to kill people slowly without any smoking gun while making lots of money from prescribing them drugs along the way. There is really no more time to waste. We have to wake people up and show them the truth! Of course when you read the actual ingredients, you will see ‘yeast extract’ right there. And you know what that means by now, right? MSG!! 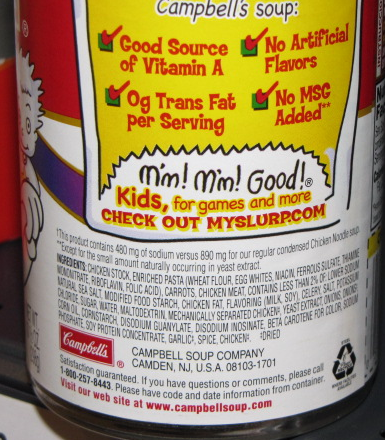 For a full list of terms that can have hidden MSG, go to the TruthinLabeling.org. Again, the masters of marketing are luring us in with the simple photo and tag of 100% natural. Then you look at the ingredients, and what do you see? Yeast extract, natural flavors and spices. Hmmm. Once again, the dreaded yeast extract and spice tells us that there are hidden dangers here – could be any of the flavor enhancers, but most likely MSG and ribonucleotides. 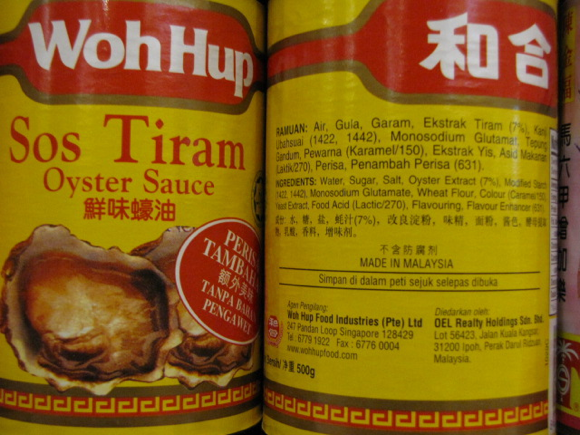 Oyster Sauce - Beware of 621, 635 and yeast extracts! Finally, I wanted to show you an example of a label in a non-English language. As you can see, the food additive numbers are universal, meaning they are the same everywhere in the world. Here, in the oyster sauce, we have MSG which is written as ‘Monosodium Glutamate,’ and we also have yeast extract, oyster extract (yet another hidden source of MSG) and if that wasn’t enough we have ‘Flavor Enhancer 631,’ which in Malay is written as ‘Penambah Perisa 631.’ This is the Disodium Inosinate, a most definite nasty additive. This post tells you what to avoid. In a future post, I will be featuring what I consider to be ‘safe and healthy’ alternatives to get you on the right track to better health. Stay tuned! If you think you are having a reaction to ribonucleotides or you want to ask me specific questions about my rash, please do not hesitate to contact me. Also please be sure to read Sue Dengate’s site and educate yourself on the dangers of all of the nasty additives. More information and a full list of foods to avoid: List of foods that contain 635, 627 and 631. Learn more about processed foods and how to improve the quality of your food: Are you eating Processed Foods? 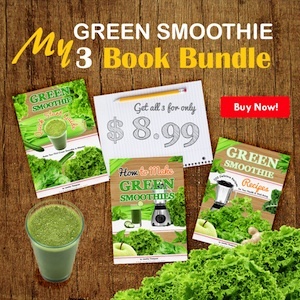 Improve the quality of your food, your health & your life!. Take a minute to enjoy the most amazing sights of Hawaii – the Big Island up close and personal. There are 2 pages of pictures here so be sure to check out them all! 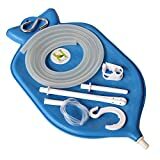 The aquaponics farm can be found at friendlyaquaponics.com. Be sure to check out their farm tour every Saturday on the Big Island of Hawaii. It is pretty amazing to see and not so hard to do yourself… The lettuce and taro growing from the trays looked pretty perfect and the best part is that there are no chemicals used! The fish in the system fertilize the water through their waste, a completely natural process with no depletion of minerals in the soils. This system could be the future of farming as we can continue to grow healthy food while giving Mother Earth time to regenerate and renew! Finally, some pics to share my from time in Maui, Hawaii! For one week, I stayed with my friends in Hana on their organic permaculture farm – it was so great simply harvesting our food every day, eating from the land and living so in tune with the earth! At that time, we had plenty of wild edible greens and fresh herbs so we made beautiful salads every day. 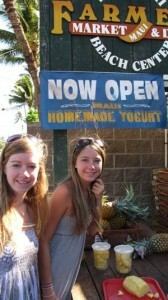 We also had a lot of papaya and liliquoi – the Hawaiian passion fruit – my favorite! One day we even made fresh liliquoi juice concentrate…so much fun and yummy too! 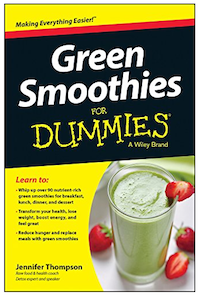 I also taught Green Smoothie Classes in Wailea and gave individual Iridology sessions there as well. The response was overwhelming, and I was so happy to see people interested in their health, nutrition and natural healing. Hawaii is a fantastic destination for a healthy holiday and Maui especially has a lot to offer for raw foods and organic farming! An abundance of natural, healthy foods just waiting for you in Hawaii 🙂 Check pictures of the raw foods available, healthy restaurants, organic farming, aquanponics, vegan and vegetarian foods, local eateries, fresh fruits, farmers markets and even green smoothies. All great reasons to go to Hawaii for a healthy holiday! For 2 weeks of my time in Hawaii, I had a nice family vacation with my parents, sister, brother-in-law and nieces. We satyed at a posh condo villa place – huge resort, full of tourists, and I couldn’t help but think what a perfect place this would be for a detox fasting spa. It’s ideal really, with beach, sun, pools, massage, nice views, relaxing time – if they offered a fasting program here I would totally do it! Maybe in a few years the rest of the world will be ready for cleansing…certainly more and more people could use it! I’ve got 7 clips up on youtube showing all the fun we had on the farm in Hana Maui, Hawaii! Check them out – I’ve got farm shots, chicken shots, unidentifiable bug shots, goat shots, pond swimming and a general tour of the farm. And, coming soon…the full how-to video on making kombucha at home! Enjoy and let me know what you think! 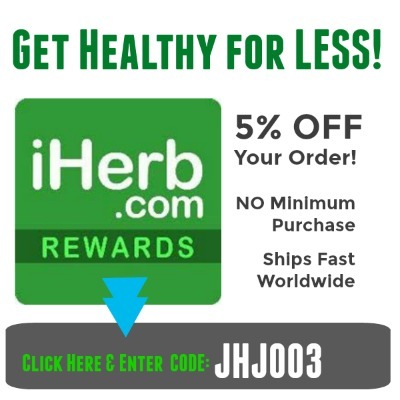 https://healthybliss.net/bliss/wp-content/uploads/2012/11/mfarm7-copy.jpg 800 600 Jennifer Betesh https://healthybliss.net/bliss/wp-content/uploads/2014/11/hb_logo_01.png Jennifer Betesh2009-09-01 20:29:432016-01-05 19:19:54Life on an Organic Farm in Hana Maui, Hawaii - Video Tour! With a wonderful variety of fresh tropical fruits and amazing veggies and greens, Hawaii is a fantastic holiday destination for raw food enthusiasts. The island of Maui is a popular spot for tourists and has a well-established raw food community as well. Joy\’s place in Kihei, Maui – great spot for a health feed! There are 3 main restaurants serving raw food dishes in Maui. Perhaps the most established restaurant serving raw food in Maui is called Joy’s in Kihei. It is a small place with a nice friendly atmosphere and offers both eat-in and take-away options. Joy is a wonderfully warm and kind woman and is genuinely interested in serving healthy, delicious foods. Some of her dishes include a live wrap with ginger sesame dressing, a nut burger in collard greens, peppermint cacao truffles, live coconut chocolate ice cream, and green smoothies made to order. Joy’s is open Monday to Saturday, 8:30am – 3:30pm. 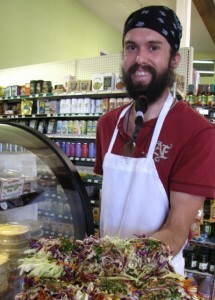 Another store serving raw foods is Mana Foods in Paia, on the road to Hana. Mana is a natural foods store also selling health foods, produce and fresh juices, and has a case of fresh raw foods for take-away every day. Jason, their raw food chef, is known best for his eggless egg salad, carrot ginger soup and sesame miso nori rolls. Other Mana favorites include their key lime pie, strawberry cheesecake and hazel fudge brownies. Mana Foods is open 7 days from 8:30am – 8:30pm. There is no eat-in service available. 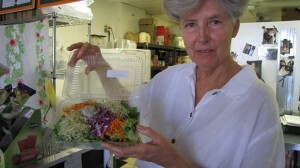 Finally there is Alive and Well in Kahului which serves pre-prepared raw foods in their take-away case. Their options include a thin slice pizza, raw cole slaw and chocolate cherry torta. Fresh farmer’s markets are a great source of local fruits and vegetables and are usually open a few days per week at various locations around the island. There are also a few locations of Jamba Juice around Maui, a similar chain to Boost Juice serving fresh juice and wheatgrass shots. A Whole Foods supermarket is due to open in Kahului in January 2010 which will be a great option for salads, juices and raw food take-aways. Plan to have rawesome time in Maui! This article was published in Living Raw magazine in Australia.